#KODEPAY: FIRST IN THE AFRO TECH RUSH?? #KODEPAY: FIRST IN THE AFRO TECH RUSH ?? Is the one-page Business model, the most punchy, the most efficient for an AfrO’ startup? Some people think it is ! Nice! But as they say in Niamey, all that “clever talk”, will never ever go down well, in Africa …in say...Nairobi? Or…in Kinshasa? ..Cairo? Algiers? Algiers? Nairobi? … That is where ADMP had to stop and compute in 9 POINTS, a breakthrough into innovative E-Business model for Startups, with Serial Disrupter and ADMP contributor, Nassym Louradi, CEO of KodepaY. I- ADMP Awards: hello Nassym Louradi ! Can you please, introduce yourself ? 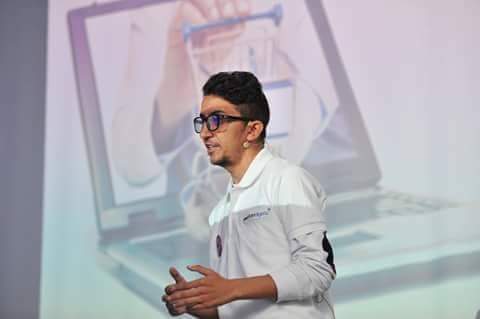 I’m Nassym Louradi a 24 year old Algerian entrepreneur, former ‘College dropout’ :)) fully-paid member of the StartUp and fintech Eco-system, which of course, means the ‘World’ to me!! II. ADMP Awards: what type of problem do you solve with your concept? M+Pesa solved the problem of money transfers via bank accounts ! #Kodepay’s ambition is to solve the problem of online payments, remittance, thus disrupting the fintech space in the ‘Tech continent’! III – ADMP Awards: Do you have any other products? IV. ADMP Awards: ‘High concept’! Nassym is a ‘High Concept’ startuper, who punches and counter-punch with ease. #DigitalDelightT2YouToO’ – Nassym, what is the Kodepay Concept, and where are you based? KodePay (kodpay.com) is an e-payment start-up, which allows anyone without credit card, to pay online using Kode Vouchers, we distribute in kiosks, malls, or online. The voucher is made of a secure 16 digits code and you can pay where KODE is accepted, mainly via online merchants who are our partners. You can easily find outlets that sells KODE vouchers on our website’s map and also websites that accept kodepay. We want to do for online payment, what M+Pesa did to Money transfers in Kenya, which means that we absolutely want to disrupt e-payment and fintech in africa. KODE PREPAID : we’re in discussion with Mastercard in Kenya to provide Pre-paid mastercard, that you will be able to load by bank transfer, Mobile Money or KODE vouchers. KODE LIMITED : it’s a voucher you can reload; It only exists in limited numbers, although the reloading is illimited, but this offer is on a premium basis. V – ADMP Awards : What type of technology do you use for Kodepay? Is it available everywhere? How many employees do you have? Well … we now have a website and we’ll provide an android app soon. Let me stress it, KodePay doesn’t require registration, if you use vouchers. Our team is full of crypto-challengers! You have Me, and Nesrine Aissani, the co-founder and CFO, also in charge of business development. Then you have Vincentas Saladis, who is the creative frontend and mobile app developer. In addition to that core team, you have in the advisory board, Laura K. Grant, who has a wealth of experience in designing and implementing IT infrastructure in Canadian Banks and financial institution. Last, but far from least Kennedy, our Sales and operations manager in Kenya and other countries, who is mainly based in Nairobi. VI – ADMP Awards: I am not sure, we are getting it right, but How many crypto-currencies do you offer on Kodepay ? Let me clear any confusion here, KodePay is a pre-paid payment solution that’s it! However, KodePay has a separate start-up which is #KDbox and it does operate on blockchain. #KDBOX is a virtual bank, based on Ethereum Blockchain. On the back of it, we created KDCoin (#KDX) which is an african crypto-currency and asset, that use blockchain technology in africa for financial operations that’s effective, quick and cheap. What are the main features of #KDBOX?? – Remittance using KDX asset as mediator – Investment : KDX is a digital asset and will be listed on exchanges, so investors will be able to trade and speculate or hold it for the long-term, just like old-school’ Stocks. VII- ADMP Awards: The Harvard Business school in the US, invite its students to invest in #Blockchain, like here. Do you work with Africa & Diaspora entrepreneurs ? Can you tell us if you have any plan regarding Africa and Blockchain? Well…excuse the ‘punchline’, but Nesrine, is from the ‘diaspora’, in many ways… However we work a lot with the Afro’ diaspora and it is capital for us to bring resources and know-how from Europe or the US! Always on a ‘Win-Win’ basis, of course! Going back to Blockchain, we talked about #KDbox, a virtual bank based on Ethereum and equipped with remittance services. Make it clear, that we want to help the diaspora: Send money quickly and cheap, in one-click! So far we’ve focused on KodePay and the #KDbox virtual bank, but we do have a Blockchain project → Kaishi Blockchain: Which is a platform for Assets Tokenization on our blockchain, as well as other solutions for settlements, also known as Real-Time Gross Settlments (RTGS) between banks. Note that our goal is to Tokenize everything from trades, assets, transfers and everything we can tokenize ! I’ll introduce officially Kaishi innovative Project during our conference about « Assets Tokenization on Blockchain » in January 2018 at L’INSEEC Paris business School. VIII- ADMP Awards: ADMP will provide a link to TOP E+Business models to those interested, here. Which partners do you work with to develop your business in the long term? I will not detail it, at this stage, but Banks, Telcos (Telecom companies), and other start-ups do work with my team; To which, you need to add our investors & VCs. IX- ADMP Awards : You can still appreciate it, so… What do you think about #ADMP’s Vision ? ADMP is really a great news outlet which is ‘robust’ in its defence of new technology ! i highly recommend it, to take african Tech news and start-ups incubation, to the next level: Big Up ! 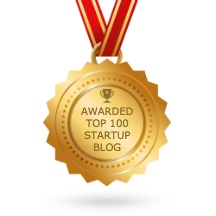 X- ADMP Awards: Thanks for the trip into ‘High Concept StartUP’! Do you have any final words to Businesses and Start-Ups communities in Africa and elsewhere ? Money is here, and we’re young! The African tech renaissance carries on, as announced in the UK Guardian. It is time to change africa and disrupt every sectors: From #IoT to #Fintech, and all the way to #AgriTech! Africa is the ‘next Tech Eldorado’! → The ‘XX1st century African Tech Rush’ will dwarf the ‘Californian Gold Rush of the 19th century’! And you shouldn’t be afraid of ‘complexity’: If you want to be a millionaire, focus on the most challenging in africa and your success is guaranteed! Just don’t give up, stay foolish, work hard, play even harder!! Good luck everyone ! interesting work! Will you show all of it in Paris, on January 2018? ?